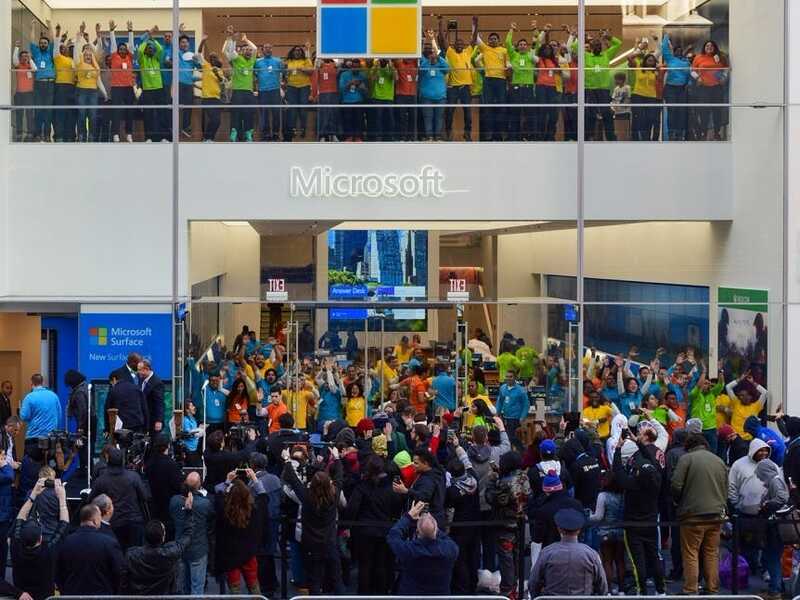 From the moment a large white sheet blocking the public from seeing into the store was lifted Monday — right after Microsoft Chief Operating Officer Kevin Turner cut the ribbon on the new Fifth Ave. flagship in New York City — dozens of Microsoft employees were frantically jumping up and down in the windows. More than just a retail store conveniently located half a mile from Apple’s flagship, Microsoft’s three-floor storefront is meant to be like your rich friend’s house. The guy who let you play around with all of the new toys you never knew even existed. Its three floors are dedicated to personal computing and Dell (third floor), Xbox (second floor), and mobile devices (first floor). But it also felt like a building you wouldn’t normally associate with Pitbull concerts and multiple LCD TVs projecting alien combat: a library. “I see it as a library more than a store,” 19-year-old Rashon Byrd told me in the third floor Dell Experience section. 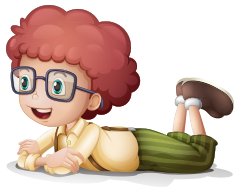 Byrd, an avid racing game fan, likened Microsoft’s diversity of playable products to that of a library where you can sample books, computers, music, and more. The Alienware section in the Dell Experience showcases that, with its four desktop computer stations as well as a Forza Motorsport 6 car simulator. 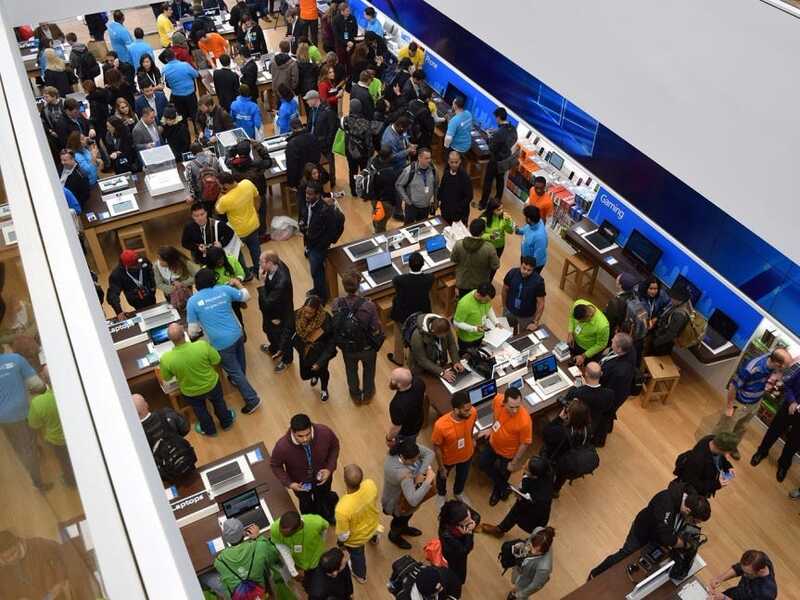 A sales associate at the store made sure to point out how Microsoft’s products are not tied down to the tables, as they are at the Apple Store, because Microsoft wants customers to feel the different ways they can use its gear and gizmos in their everyday life. Need to see if it fits in the purse you take to work every day? Go right ahead. Staff use Microsoft phones to scan inventory. 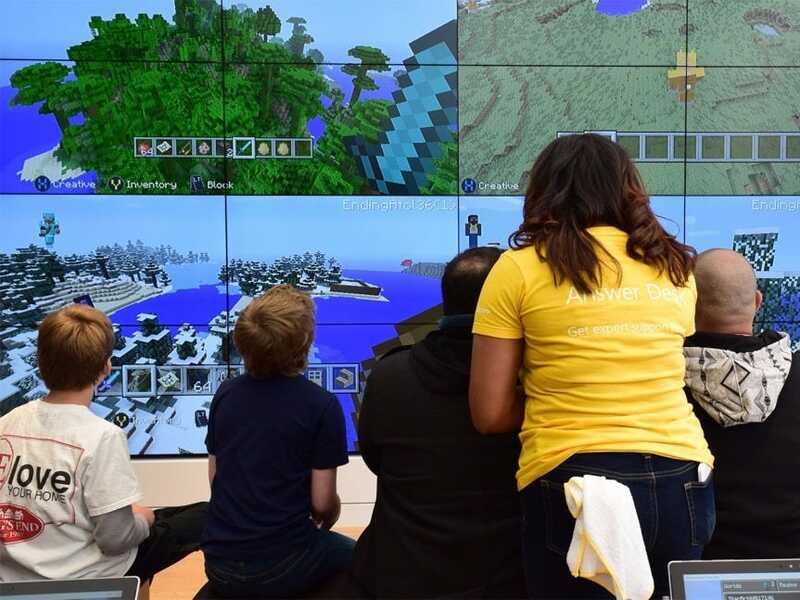 There are workshops that teach people how to play Minecraft on Xbox and learn how to use Microsoft’s Fresh Paint app. At no point does this store not impress upon you that Microsoft is something you learn, not just purchase. Microsoft’s Senior Director of Retail Stores Marketing, Kelly Soligon stated there will be workshops teaching people to code as well as game. Soligon stated other Microsoft stores log in 70 hours of programming weekly — just like the best libraries do. Micah Fleck, a sales associate at the new store, said staff has been “extensively trained” in dealing with excessive foot traffic, which the store expects to see, and even invites, with tonight’s midnight release of Halo 5. He also remarked that there will still be “rolling training” of the staff to get familiar with the new products. 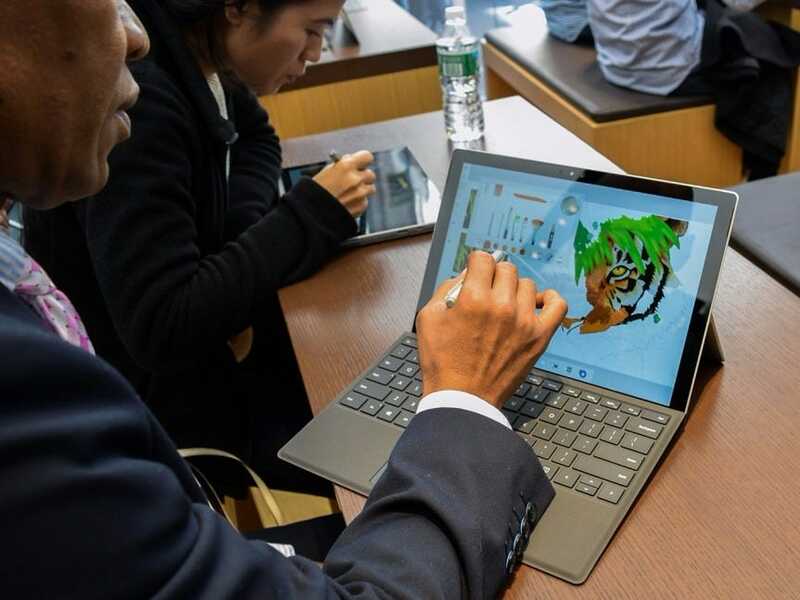 Beyond teaching people how to draw stick figures on a Surface Pro, Microsoft’s library of a store is putting its money where its education is. After revealing that the company gives out over $1 billion a year to schools and education, Microsoft COO Turner announced Microsoft stores are rewarding $3 million in technology grants to 14 non-profit organizations in all five boroughs. New York City’s first ever Chief Technology Officer, Minerva Tantoco, was in attendance too, and a representative of Mayor Bill De Blasio’s office stated every child will have computer access. This is likely echoing Mayor De Blasio’s 10-year plan for computer science to be taught in every public school he announced last month. With the new store, its 113th in the last seven years, Microsoft is continuing to bring people into content through its hardware. This time, instead of a shiny new Surace Book, its a store.